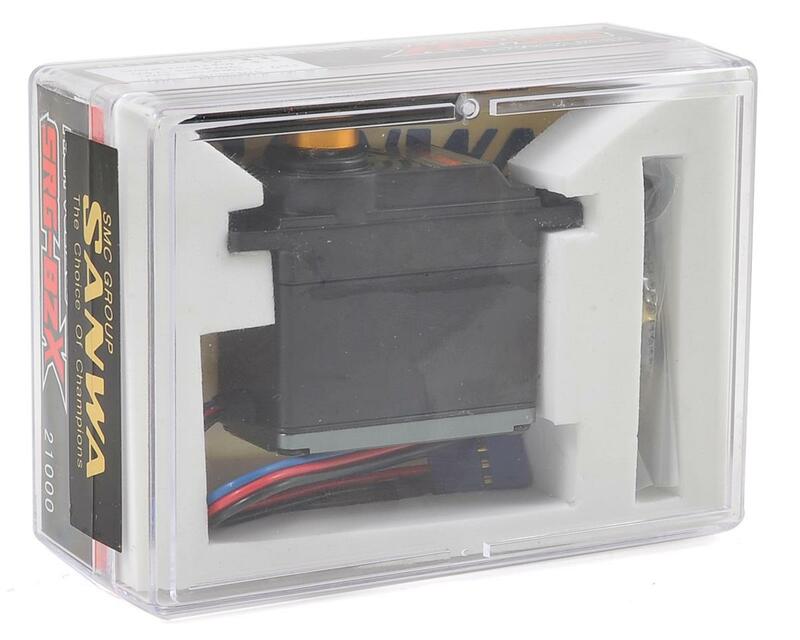 This is the Sanwa SRG-BZX Aluminum Case Digital Servo. 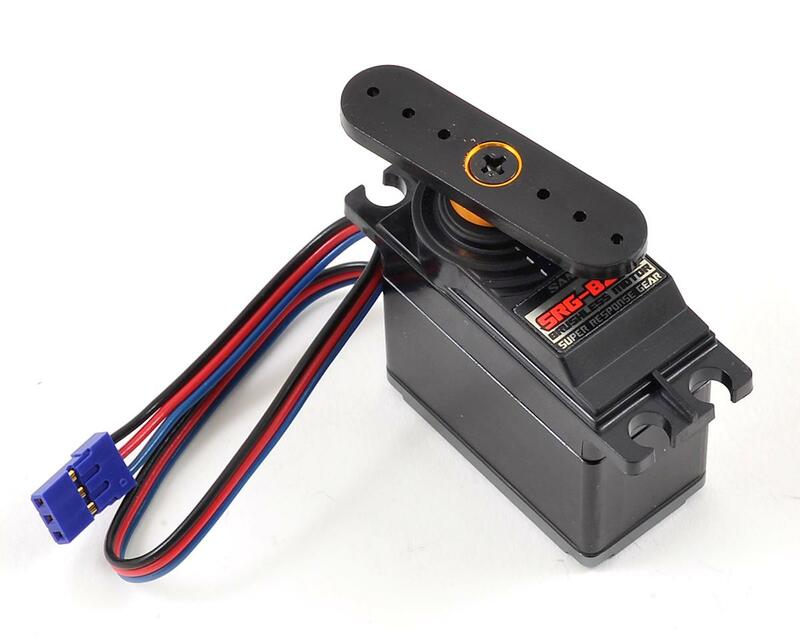 This servo sports 2S LiPo (High Voltage) capabilities, metal gears, brushless motor and healthy speed and torque specifications. This servo is nearly identical to the Sanwa SRG-BZX Type R, with both sharing similar specs and both sharing the aluminum middle case. The difference is noticed with the plastic upper case on this servo, and an aluminum upper case on the Type R.